Employment Minister Jason Kenney and Immigration Minister Chris Alexander will unveil long-promised reforms to the Temporary Foreign Worker Program on Friday. The government will cut the size and scope of the program, as well as make public the names of employers who have been given the green light to hire temporary foreign workers, CBC News has learned. The government has been on the defensive for months after the program came under intense scrutiny following a series of stories by CBC News reporting alleged abuses of the program by several employers, including one of Canada&apos;s largest banks and three McDonald’s franchises in Victoria​. 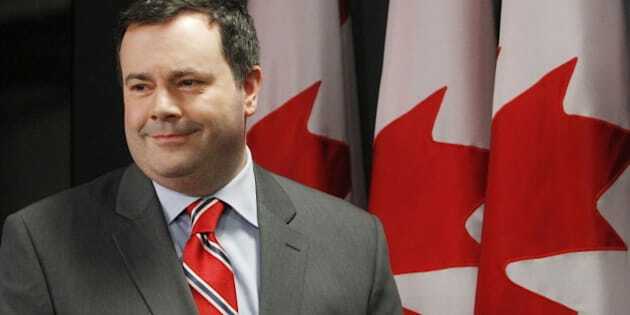 In April, Kenney imposed a moratorium on the fast-food industry&apos;s access to the Temporary Foreign Worker Program and began publishing a so-called blacklist with the names of employers whose permits to hire foreign workers were either revoked or suspended. CBC News has learned that in an effort to bring more transparency to the program, the government will publish the names of companies who have been given a permit to bring in foreign workers and the number of workers they&apos;re allowed to bring in. By shining a light on who is hiring temporary foreign workers, the government hopes abuses will be easier to root out. During question period on Thursday, Kenney said the government would impose additional sanctions on employers who abuse the program. The government also plans to reduce the length of time a temporary foreign worker can stay in Canada. Currently that period is four years, but it&apos;s not yet clear by how much that will be reduced. Finally, the government is expected to reduce the overall number of temporary foreign workers it accepts. Currently the number of temporary foreign workers has surpassed the number of permanent residents Canada accepts each year. CBC News reported in May that the government will tighten up the rules for employers who want to hire temporary foreign workers. The government is expected to tie the number of temporary foreign workers a company is allowed to hire to the unemployment rate. It will also require employers to pay temporary foreign workers more than they do now. The goal is to raise the cost of hiring temporary foreign workers and to make it harder to hire them in regions with higher unemployment. Opposition parties and economists have also complained of serious gaps in labour market data, which critics said have resulted in poor and confusing information on job shortages across the country. Kenney told the Commons last week the government would be spending nearly $15 million a year to fund two new labour market information studies — a quarterly study on job vacancies and an annual survey on wage rates. The employment minister has also said he intends to give Service Canada further audit powers. New rules that went into effect on Dec. 31, 2013, gave federal officials the power to conduct spot checks in workplaces to make sure employers are meeting the conditions of the program. To date, the government has not been able to tell CBC News how many inspectors are charged with enforcing the rules or where they are located. The government also brought in legislation, through its budget implementation bill, to impose heavy penalties on firms that abuse the temporary foreign worker program.